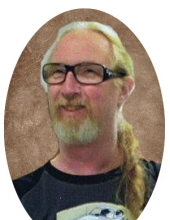 Jeffrey Allen “Jeff” Truesdell, age 57, of Christy Creek Road, Morehead, passed away Monday, April 8, 2019, at his home. He also leaves behind his mother-in-law, Helen Eldridge; a brother-in-law, Claud Henson, and two sisters-in-law, Penny (Chris) Melton and Judy (Brian) Bailey, as well as numerous nieces, nephews, extended family and friends. Jeff was employed as a building service technician at Morehead State University. He graduated from Trotwood (Ohio) High School in 1979 where he participated in many activities. He was a former youth softball coach and enjoyed baseball and NASCAR. Jeff was very funny, always making jokes and enjoying life. Christmas and kids were important to him and from that came the tradition of an annual Truesdell Christmas party. Family was so very important to Jeff; he was an incredible man who loved his wife, daughter and granddaughter greatly. Jeff was especially active in his granddaughter’s life—they were each other’s best friend, and both treasured their many adventures together. Jeff will be greatly missed and lovingly remembered. To send flowers or a remembrance gift to the family of Jeffrey Allen "Jeff" Truesdell, please visit our Tribute Store. "Email Address" would like to share the life celebration of Jeffrey Allen "Jeff" Truesdell. Click on the "link" to go to share a favorite memory or leave a condolence message for the family.